Host David Durham invites you to engage your world through compelling stories from fascinating people on crossing cultural bridges. 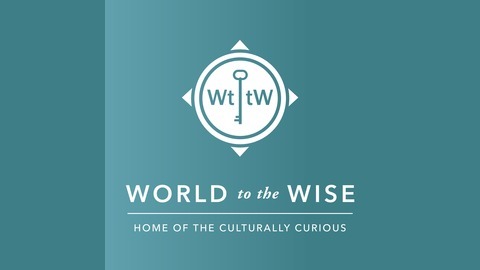 Intended for the culturally curious, this weekly podcast will stretch the borders of your thinking, broaden your cultural perspective, and provide new insight on important issues of our day. Throw in some additional tips on foreign language learning, David’s own musings on culture, both home and abroad, and occasional highlights of travel destinations, and you have a table set to cultivate cultural intelligence. Musical contributions from Concerning Lions and Rob Higginbotham. Artwork by Hilary Griffith and Michael Durham. Tech support by Isaac Darnall. You may remember hearing in the news about a family from the Kurdish area of Northern Iraq, who were on their way to make a new life in the United States when they were turned away at the Cairo airport as a result of President Trump’s executive order, in February 2017, banning immigrants from seven majority Muslim countries. Fuad Sharif Suleman had been employed by the US government, through a third party contractor, as a translator and interpreter in Northern Iraq, and was traveling to the US on a perfectly legitimate Special Immigration Visa. Thanks to the work of a number of organizations and TN congressman Jim Cooper, Fuad, his wife, and three children were finally cleared to set out once again for their final destination of Nashville, where a crowd of around 200 were waiting for them at the airport with signs and chants of “Welcome home.” My wife Becky and I were in that crowd. A couple of months later, after numerous attempts to track them down, I was able to sit down with Fuad and all but one member of his family. I know you’ll enjoy meeting them. This is the final episode of Season 2 of this podcast. We’ve had a great time taking you to people and places near and far, and look forward to much more in Season 3. In the meantime, in just over a week, my wife Becky and I will be leaving for the Greek island of Lesvos, where we will be leading a team from the US to work for a week in a refugee camp run by the UN and the Greek government. After that, we will be welcoming the 2017 World to the Wise cultural tour group in Rome for an unforgettable cultural feast through Italy, Paris, and Amsterdam. 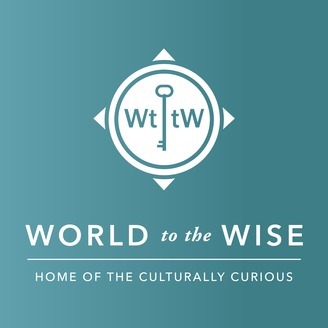 You can follow our experiences on the World to the Wise Facebook page (have you liked that page yet?) and here on my blog.